The Annals of Economics and Statistics was created in 1969 by Edmond Malinvaud, then director of INSEE (the French National Statistical Institute), under the name Annales de l’INSEE, to publish the research work of INSEE economists. As early as the 1970s, the Annales de l’Insee published articles written by academic economists and econometricians who later became prominent figures in the profession (Olivier Blanchard, Gary Chamberlain, Zvi Griliches, James Heckman, Paul Krugman, Marc Nerlove, to name just a few). In 1986, the Annales de l’INSEE merged with the Cahiers du Séminaire d’Econométrie, and the result of this merger was named Annales d’Economie et de Statistique. 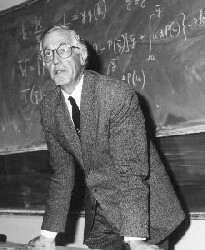 The Cahiers du Séminaire d’Econométrie had published a number of papers since its first issue in 1951, with René Roy (whose name is associated with the well-known “Roy equations” of consumer theory) as its Editor, and was funded by the CNRS (French National Center for Scientific Research). So, given that our journal is heir to the articles published in the Cahiers du Séminaire d’Econométrie, it is in fact nearly 65 years old. Some of the articles published in French in the Cahiers became well-known references, providing a nice heritage. Several of the papers presented in Paris seminars were later translated into English (e.g., Shell (1977), and Cass and Shell’s (1982) classics on “sunspots”). Among the papers published (in chronological order), we find the names of Marcel Boiteux, Hendrik Samuel Houthakker, Jan Tinbergen, Jacob Marschak, Hirofumi Uzawa, Ragnar Frisch, Henri Theil, Richard N. Stone, Lawrence R. Klein, Charles F. Manski, Hugo F. Sonnenschein, Hal R. Varian, Robert F. Engle, Eric S. Maskin, Roger B. Myerson, Jean-Jacques Laffont and Jean Tirole, to name only the most “legendary” authors, including a handful of Nobel Prize laureates. To supervise the new journal and to promote high-quality research in quantitative economics in France, a new association, ADRES (Association for the Development of Research in Economics and Statistics) was then created by Alain Monfort and a few of his peers. The editorial board of 1986 included several influential French economists, such as Jean-Jacques Laffont, Jean-Michel Grandmont and Guy Laroque, who, a few years later, like Monfort himself, played a prominent role in the Econometric Society and in the editorial board of its journal, Econometrica. In 1986, the first issue of the new series was a special volume on Industrial Organization with contributions by Jean Tirole, Jean-Jacques Laffont and others. Throughout all these years, the journal has been entirely funded by INSEE. In 2005, the journal switched to English and became the Annals of Economics and Statistics. It is now funded by GENES, the administrative body that includes ENSAE, the most prestigious French School in Economics and Statistics. The journal is published on March, June, September and Decemeber (quarterly basis). Cahiers du séminaire d’économétrie, 24, 93-127. Annales d’économie et de statistique, 34, 159-180. Karl SHELL (1977): “Monnaie et allocation intertemporelle” title and abstract in French, text in English, mimeo. Séminaire Roy-Malinvaud, C.N.R.S., Paris, November 21, 1977.